YES. I am eating banana bread, still warm, straight from the oven and it is so. delicious. It has everything I like about cake: a little moist, crunchy crust, tasteful and naturally sweet. Plus it’s all vegan, which makes it even better. All the good taste without any unnecessary animal products. 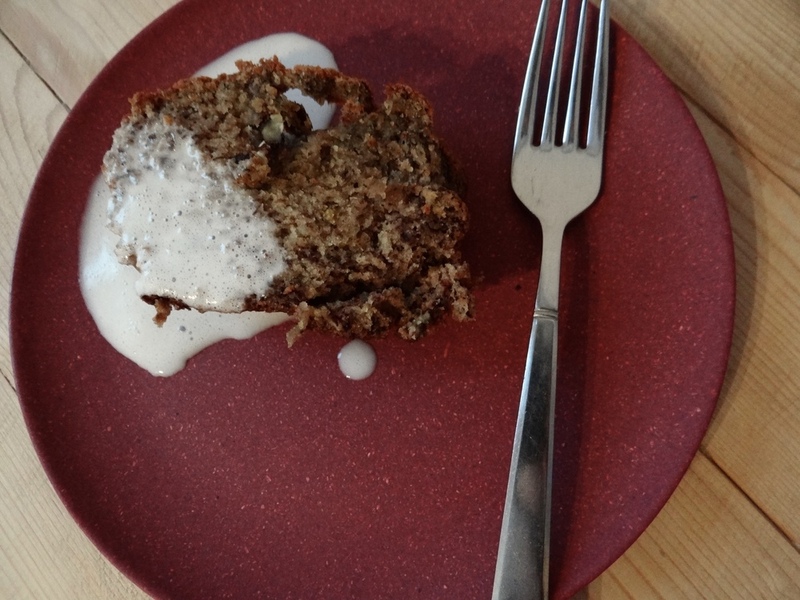 I especially like this cake with a little scoop of homemade coconut yoghurt, which is full of good fats and cultures that help with digestion. It is easy to make too, requiring only two ingredients. Preheat oven to 180° C. Mix all dry ingredients in one bowl and wet ingredients in another bowl with a fork or your hands. Put baking paper in a rectangular cake mould, pour in the batter and bake at 180° C for about 50 to 60 minutes. 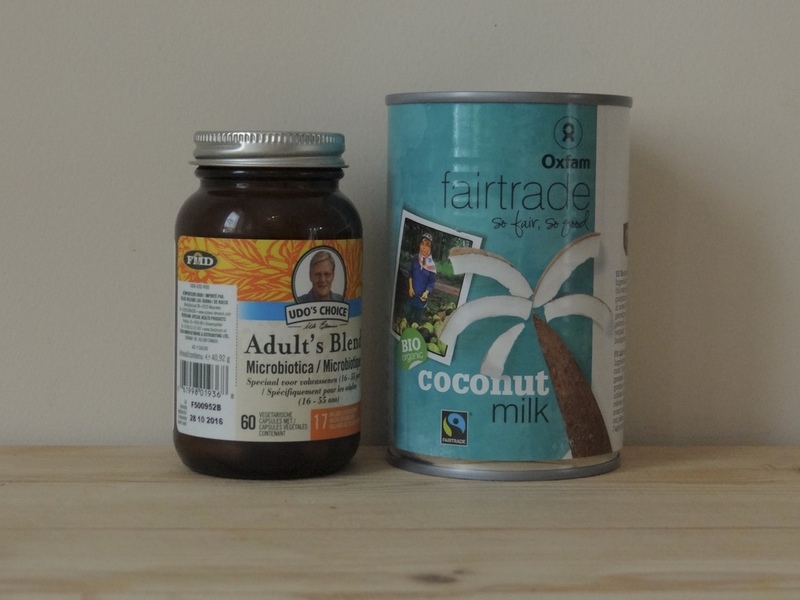 Pour coconut milk into the blender. Open capsules and pour the probiotic powder into the blender. Blend until combined. Add arrowroot and blend again. Pour the mixture into a glass bowl and cover with a glass lid or aluminium foil. Dehydrate at 40° C for about 6 to 8 hours. You could also use a yoghurt maker instead of a dehydrator. After about 6 to 8 hours, the coconut milk should have dried out a little at the top. Taste the yoghurt: it should taste mildly sour, like traditional yoghurt. Mix well again. Now you can serve a slice of fresh banana bread with a scoop of yoghurt. This yoghurt also tastes great with fruit salad, muesli, berry jam or in a smoothie. It will keep for about two weeks in the fridge. Looking for more vegan cake recipes? Try these sweet and moist pumpkin banana muffins that are gluten-free and refined sugar free!